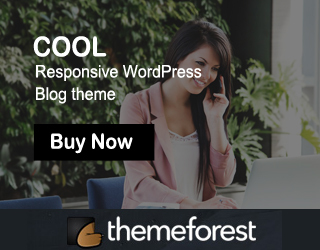 Already we gave more than 10 free Thesis 2.0 Boxes for Thesis Theme 2.0 users and also we put more Thesis Theme 2.0 tutorials in our blog. 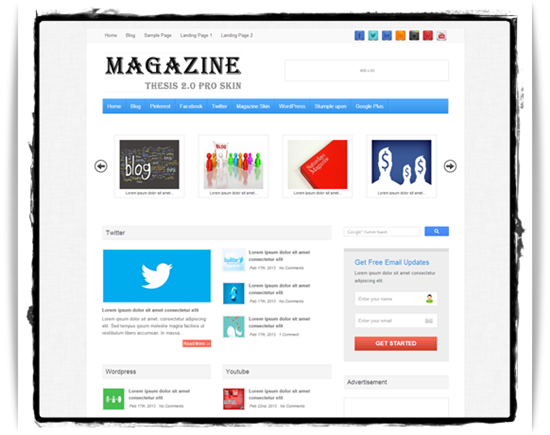 Today we will give free Thesis 2.0 Magazine skin for Thesis Theme 2.0 users. 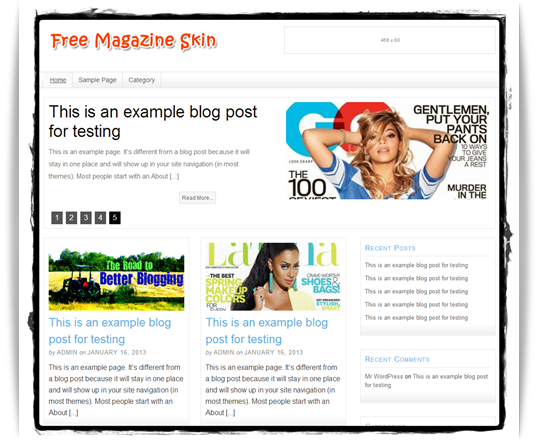 Let’s see the features of Free Magazine Skin. And also you can use our all free Thesis 2.0 boxes in Free Magazine skin. To install our free magazine skin, check our installation guide. If you have any doubt about this skin, feel free to write as comment, I will solve your doubts. If you have time, please check our premium Thesis Skins page. If you like this magazine skin, share with your friends. Thanks, really great magazine skin. i have subscribed to your Mailing List, but where can i download the free Thesis Skins now? there is no download link ..
its there only.. check once again..
Could not install this skin. Said it was missing a CSS file. First extract that package, then install our skin file only..